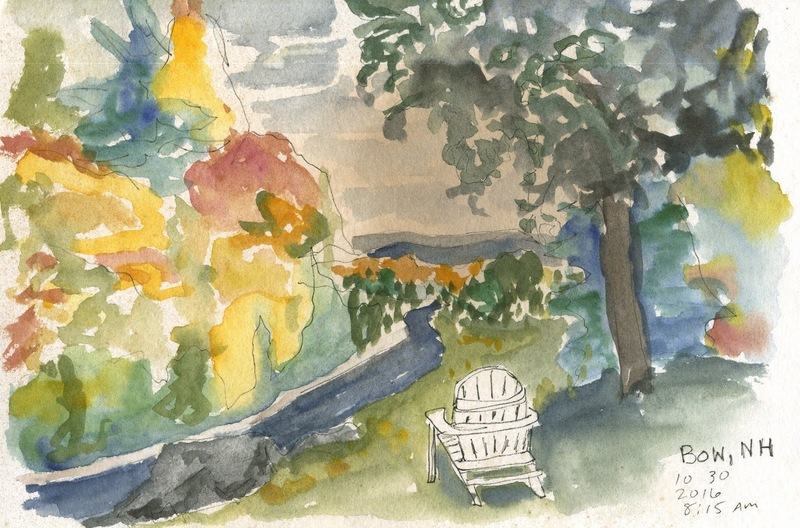 Last fall I had the great good fortune to take a trip to New Hampshire and Vermont. I spent much of my time sight-seeing and doing some travel sketching. 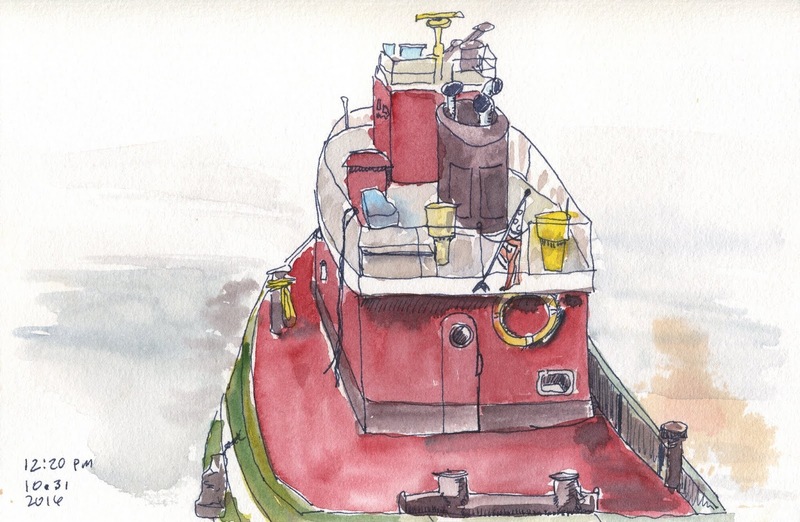 For me, the impact of keeping a travel sketchbook is combining both the visual and the verbal. 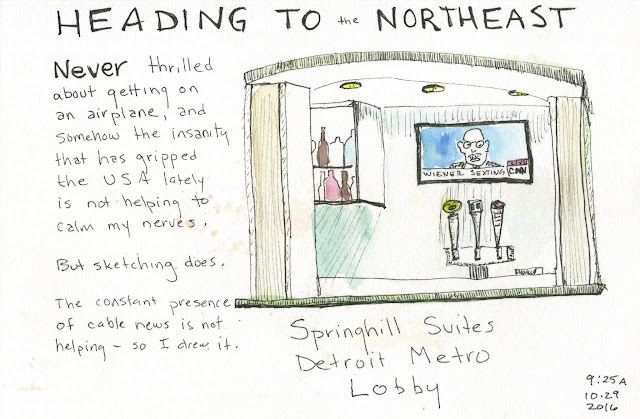 I do not write down the "dear diary" sort of entry to capture everything I did on a trip. 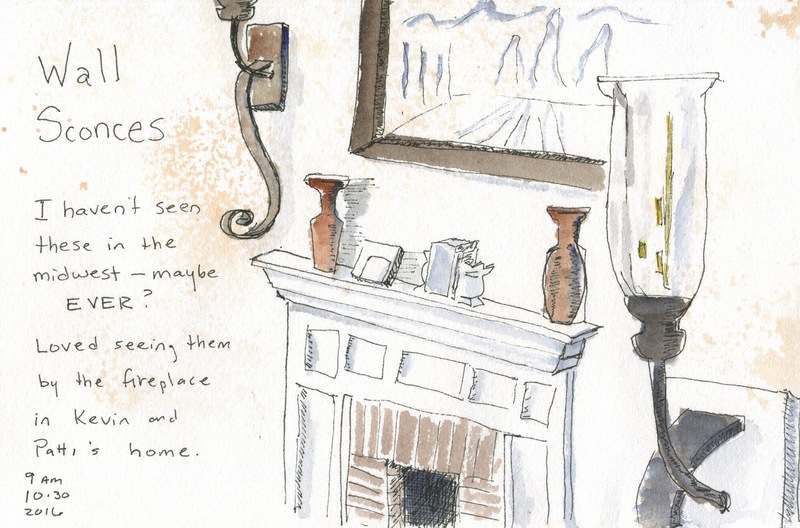 And I don't even use the sketches to commemorate every wonderful thing I encountered on a trip. I take loads of photos and I enjoy them. But in the quiet moments, or the moments when I can find time to draw, I draw whatever is in front of me, and I can write a bit about what the travels have brought to my attention. 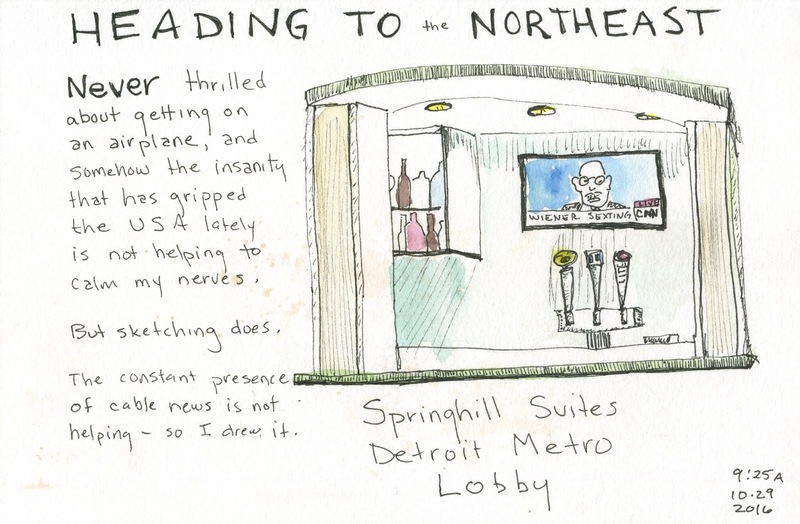 Such sketchbooks made a great record of the experience, that complements any photos I take. Below are a few of my sketches from the start of the trip. First, a sketch of the blaring CNN coverage of the political situation in the United States at the time. It was around 9 am and because I am always nervous about flying, having to listen to this horror show while I waited for the hotel shuttle to take me to the airport didn't do me any good. I recorded that moment of frustration on this page. 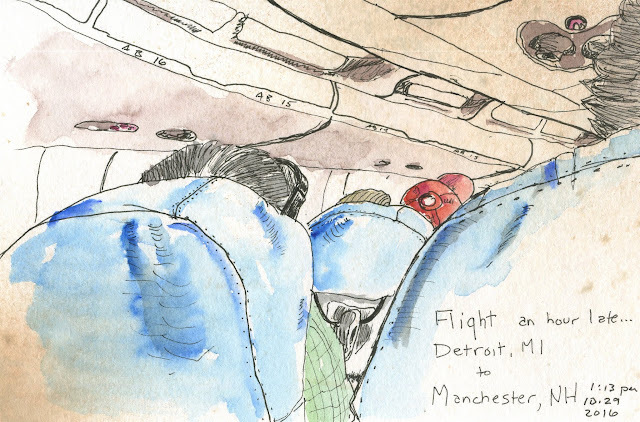 Scribbling on a plane is a great way to distract yourself if you are a nervous flyer! We stayed with friends who had a comfy chair in their front yard with a lovely view of foggy mountains. I had the chance to go for a morning walk and capture this scene before others were up and at 'em for the day. I am sure I would not remember this quiet moment and that delightful wet walk if I hadn't done this sketch. Below, I captured (and not exactly accurately) one feature of their home in New England that I remember seeing a lot in my childhood days growing up on the east coast, but which I never see in the midwest: wall sconces. I love them. One day I traveled to Portsmouth, NH, to explore. 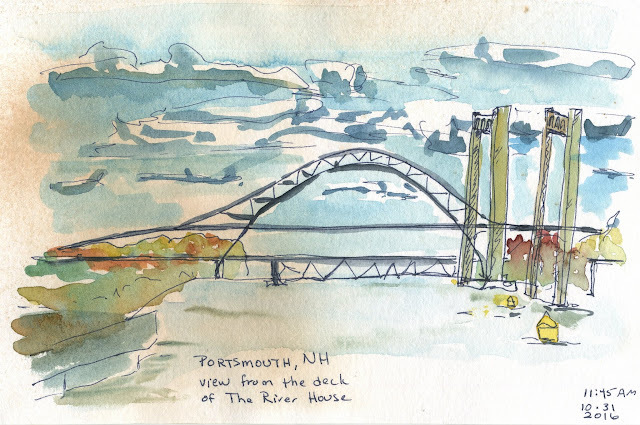 I had a lovely lunch on an enclosed porch on the water, where they let me sit for two hours and paint while I ate. While I was painting, another woman in the restaurant came over and asked if she could take a picture of me sketching. I said sure! So now I and my work are in someone else's memories of this excellent day! I see more and more how scribbling in public brings the most interesting encounters and opportunities.